My niece was born a few weeks ago (early March 2015). I can't wait to meet her! It is going to be a really fun Christmas this year. My niece will be eight months old and my son will be 4 months old. Babies, babies, babies for Christmas! Yay! My brother-in-law is a total Nintendo geek. He LOVES retro nintendo. He has a game room that is nintendo themed with lots and lots of nintendo collectibles. Their nursery is a Legend of Zelda themed nursery. I love that my sister-in-law inspired her husband to participate in the nesting by including one of his passions. 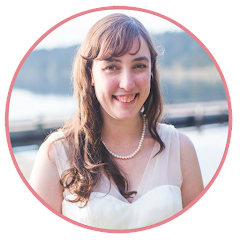 I'll talk to them about taking some pictures and sharing it on the blog (but that won't be till December 2015 when we go see them for Christmas). I decided to make my niece a couple of cute Mario themed onsies for a baby shower gift. 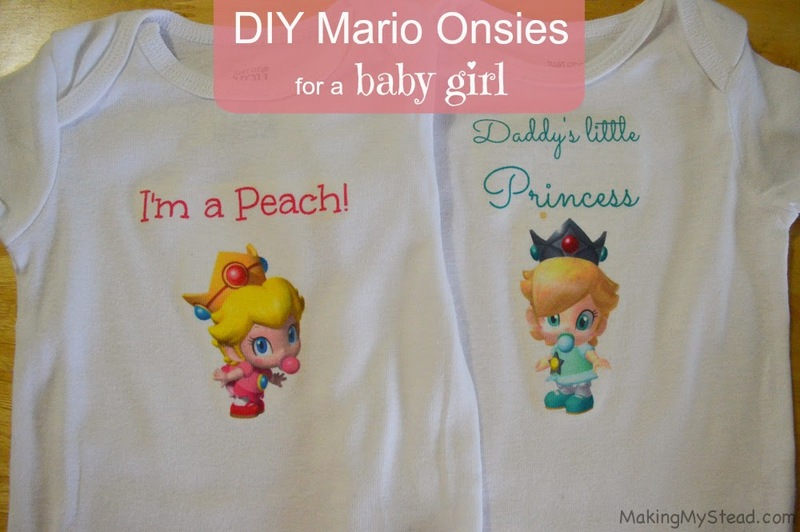 I used images of Baby Princess Peach and Baby Princess Rosalina from Mario Kart. I found the images through a google image search. 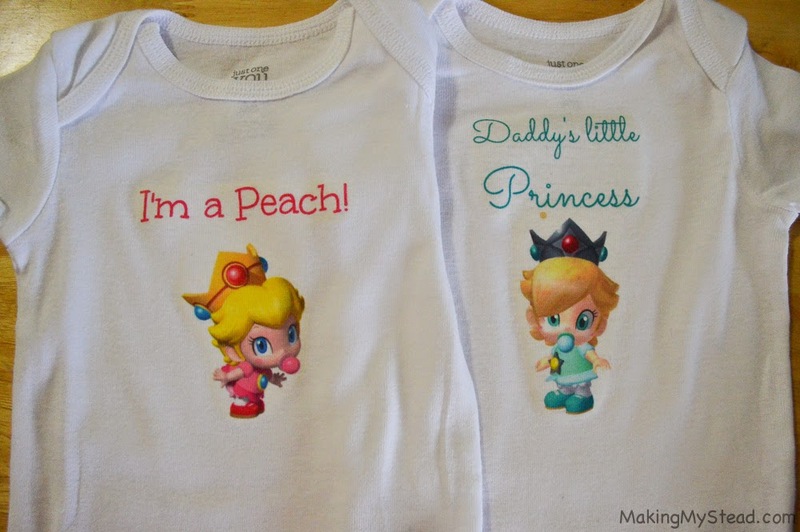 I used the phrase “Daddy’s Little Princess” for Princess Rosalina and “I’m a Peach” for Princess Peach. I designed the images in PicMonkey, inserted the images into Google Docs, and then inverted them for printing. I purchased plain, white onesies (affiliate link) and Avery T-shirt Transfer Paper for Inkjet Printers (affiliate link). I followed the directions of the transfer paper, which worked like a charm. I really liked how they turned out and so did my brother-in-law! Have you thought about making your own onesies or tee shirts? What would you put on your custom onsie or custom tee shirt? Thank you for this post and I really like this story. I have known many things over here hence thank you for this share. View at custom cheap essay writing service page if you are interesting on online essay services.